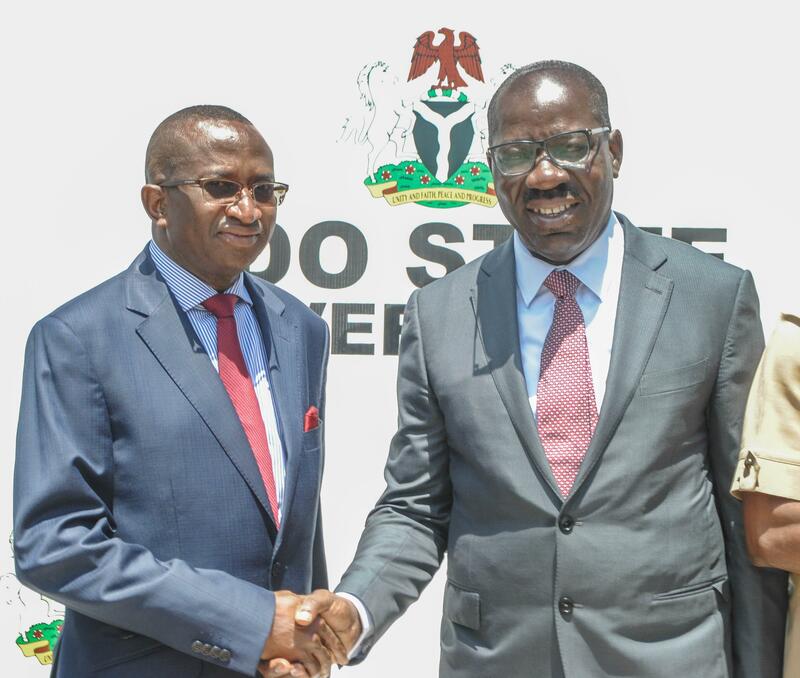 Concerned with the finances of state-owned Ambrose Alli University (AAU), Ekpoma, Governor Godwin Obaseki of Edo State, on Monday, apprised the institution’s management on revenue generation and management, noting that the school had it to be a world-class university. This was at the Edo State Government House in Benin City where the institution’s management fed the governor in on the school’s status quo, adding that although the school rated highly in use of technology it still needed about N2bn to accredit 32 courses. The university’s Vice Chancellor, Professor Ignacious Onimawo revealed that the institution had 12 faculties, 50 department and 65 academic programmes and called on the governor to urge the CBN and NDDC to complete their projects in the school, as it would go a long way to solve some challenges confronting the school. “As a University, we have done our very best to reposition the institution amongst the community of Universities in Nigeria”. Governor Obaseki, however, while admitting that the school was a source of pride to Edo because of its past glory, it had to be upgraded to international standards, continuing that the management had to improve its finances to develop. The governor said: “The priorities are different now. We do not have the kind of money, resources we erstwhile spent, so we need to review and focus on those key things that are important; this will enable us save resources for more important things”. He explained that the state had set a standard with Edo University, Iyamho, and expressed the belief that he could work with the management of AAU to upgrade the quality and standard of the infrastructure of the institution. Governor Obaseki also charged the university to be more innovative, especially with its student population of 28,000, advising that since it offered high quality service, it should also be able to generate enough funds and revenue to sustain the University sustainable. “I do not know if you have a master plan and when it was last updated. The starting point is to see the masterplan for the school to know exactly where we are working towards and the timeline Universities all over the world are funded primarily from two sources – tuition and endorsement. You are lucky to have both combined with a clear roadmap and masterplan. I do not see why we should have any challenges and problems. All it requires is a determined, focused and disciplined management,” he concluded.